Music is something that transcends all borders and societal limitations. It can bring people together like nothing else in the world. A specific song can evoke feelings and emotions that you haven’t felt in decades. It truly is a powerful artistic medium that knows no limitations. While music, at its core, will always retain its very basic principles, the surrounding music industry is constantly in flux. New technologies, techniques, and shifts regularly occur – each of which has slight changes on how we play, record, and consume music. Over the past year or so, we’ve seen a lot of positive changes. One thing in particular that has stood out is the progression of gadgets that enhance musical experiences both for artists and listeners. 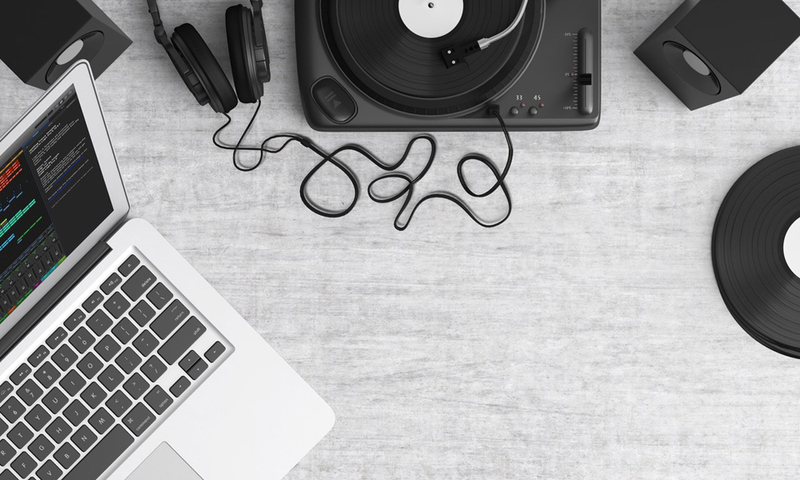 Some are simple and others are complex, but as you’ll see with the following gadgets, the convergence of music and technology is a beautiful thing. There’s a certain art form that comes with reading sheet music. Not everyone can do it and you must have a certain level of coordination in order to process the notes on the page and play an instrument at the same time. And no matter your level of experience, one point of contention has always been turning from one page to the next. Even with all of the people reading digital sheet music on phones and tablets these days, the user still has to swipe the screen or press a button to stay on track. This is where PageFlip enters the picture. A page turner pedal, PageFlip allows the user to turn one page at a time with the tap of a foot pedal – no interruption necessary. And because the PageFlip is powered by Bluetooth technology, it’s all wireless and simple to use anywhere, anytime. Some people are born with musical talent and some aren’t, but you’ll be hard pressed to find someone who doesn’t at least want the ability to strum a guitar. We all think it would be pretty cool to strum the chords to our favorite songs on the radio, yet learning to play the guitar can be painful and time consuming. For busy people, or those who simply don’t have the discipline or ability to play a traditional guitar, Magical Instruments has produced the MI Guitar. The guitar blends together traditional guitar with technology to produce an instrument that features fret buttons instead of strings, while still retaining the strings on the strumming side of the instrument. As a result, users can play entire cords with just one press of a button. Headphones have been a wonderful invention – especially the earbuds that fit into the ear and block out excessive ambient noise. However, a growing body of research suggests that constantly having music blasted deep into the ears can cause long-term damage. AfterShokz may have discovered a solution in the Bluez 2s. The Bluez 2s use bone conduction technology and an open ear design that allows the user to listen to music without placing anything in or over top the ear. It works by delivering music through the cheekbones and uses dual noise canceling microphones to exclude surrounding noise. Music can exist independent of technology – and has for many years. Give someone a stick and a surface and they’ll provide a beat. Find a beat up guitar and somebody will make it sound good. It’s not as complicated as corporations would like consumers to think. However, one thing is clear: new gadgets, like the ones discussed in this article, elevate music to an even more enjoyable place in our lives. And considering that the sole purpose of music is to bring enjoyment to both the musician and the listener, you won’t find many people complaining about this convergence. Does Telemedicine Technology Have a Legitimate Future?